In celebration of the holiday season, Texas Tech University Health Sciences Center El Paso (TTUHSC El Paso) is holding a free holiday light show for the public from 5:30 to 7:30 p.m. Wednesday, Dec. 2 on the lawn between the Medical Education and Medical Sciences Buildings. HB Stage Productions, a special events organizer that helps put on one of El Paso’s most famous annual light shows, is organizing the TTUHSC El Paso light display. 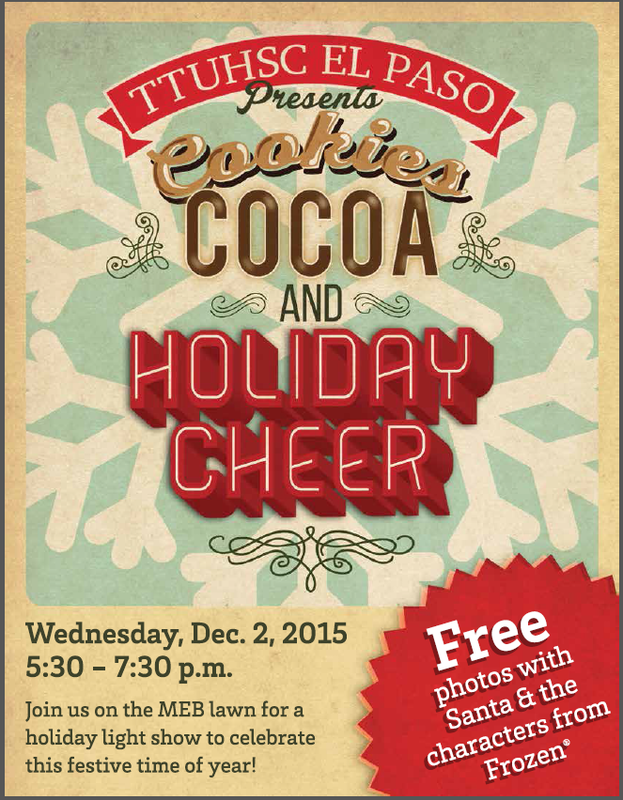 The holiday festivities will also include free photo opportunities with Santa and characters from the movie Frozen. 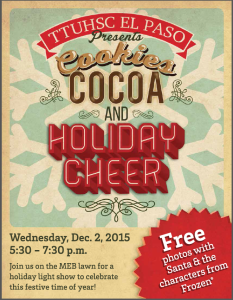 During the event, attendees will be invited to snack on cookies and hot cocoa. Please RVSP online, or call 915-215-4850. Parking on campus will be free and open to the public after 5 p.m. that day.